Another simple spread, this time the cards deal with time. This is a good spread when you’re starting out reading for other people. When someone comes to you, or if you’re doing this for yourself, start with a clear mind and shuffle the deck. Draw three cards and place them face down in front of you. Turn over the leftmost card. This is card 1. Then the middle (2), then the right (3). Card 1 deals with the past and all of the events and emotions that have led up to now, The person where they are now because of how they have lived, and this card will give you an insight into their past. Card 2 deals with the present and their current state of mind. This is how they are acting and feeling. Card 3 deals with the future. The future can always change. This is the current path they are on. Look up the meaning from either the major arcana, swords, cups, pentacles or wands. We’ve selected live tarot readers to give you a FREE 3 Minute Reading of any variety! Scroll through them below and pick your favorite one. 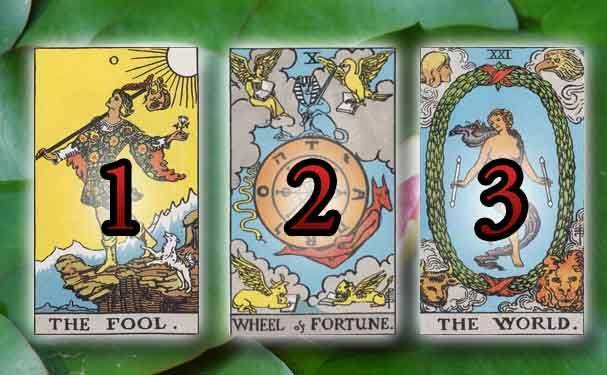 How was your Free Past, Present, Future Tarot Tarot Reading? Let us know in the comments below!